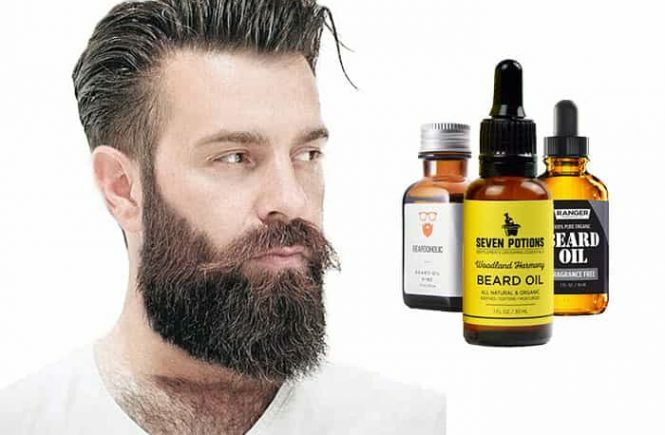 Braun is always one of the most reputed names in the grooming industry. Braun invented lots of electric shaver among them, The M90 is probably the most popular product from Braun’s line of mobile shavers which can be a great travel companion. When you don’t have a lot of money to spend on an expensive electric shaver, the Braun M90 Mobile Shaver is the best for you. The portability, nice design features and the reasonable price, make it very attractive for consumers. Its shape is much like a smartphone and the M90 is powered by two AA batteries which are easy to replace. A trimmer is attached to the shaver and just need to slide on. 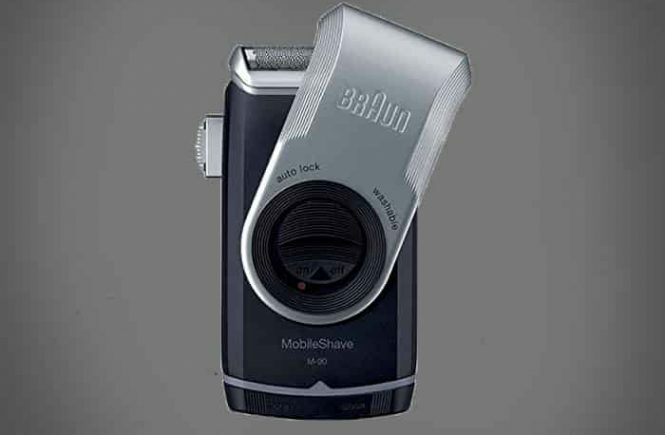 ShaverZone team describes in details in this article about Braun M90 mobile shaver. There are two types of electric shavers in the market, foil, and rotary. The Braun M90 is a foil shaver which provides a great service to the consumers. 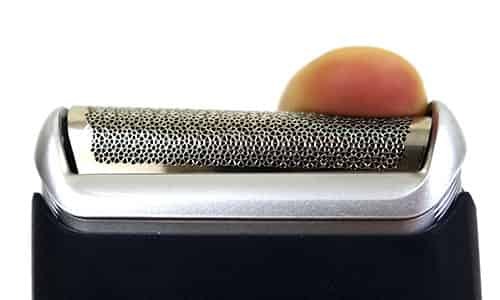 A foil shaver works in a different manner. 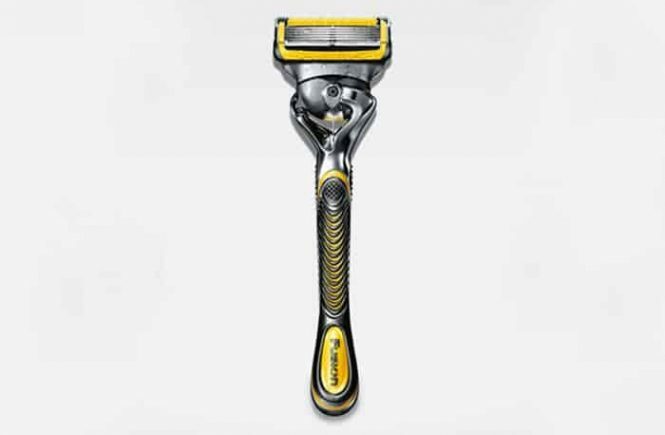 A typical full-size foil shaver contains three to five blades. Foil razors give a closer shave than rotary shavers. If you want a closer shave, a foil type shaver is a better option than a rotary shaver. Foil shavers are electric shavers with a thin, perfect piece of metal between the cutting surface and the blades. The metal part is called the foil, and it helps protect sensitive skin from the blades of the razor. Foil shavers are the best choice for people who shave every day and want close and comfort shave. The Braun M90 Mobile shaver comes in a very compact design that is small size, looks very good, and lightweight which you pack it in your bag and take it with you anywhere you go. It comes with 3.1” x 1.5” x 5.2” of the dimensions and weights 3.2 ounces. So, it is very portable and easy to use. The M90 has innovative and simple design at the lower price-range which is portable and a great travel companion for you that is a smooth, little, and lightweight designed shaver, with one blade and unique foil head, a protective cap, and a separate trimmer are altogether connect into this blameless shaver. 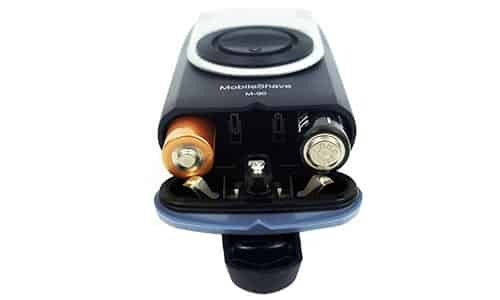 The Braun M90 foil mobile shaver is powered by two regular AA batteries and they can be easily replaced with new ones which are easy and inexpensive to buy that provides continuously to give good results for a long period of time. The battery compartment is situated right at the bottom of the shaver near the “open” and “close” button. It has also included a rubber seal on the battery compartment to keep it secure from water when you rinse the shaving head in the water. The batteries can last approximately 3 months or provide 120 minutes of shaving time. The M90 is a battery operated shaver, as a result, you do not have to charge the shaver, and you don’t have to pack a long charging cord. There is no separated cleaning system in the Braun M90 Mobile Shaver. Actually, it is a simple travel shaver. The M90 foil mobile shaver is extremely easy to clean and washable. 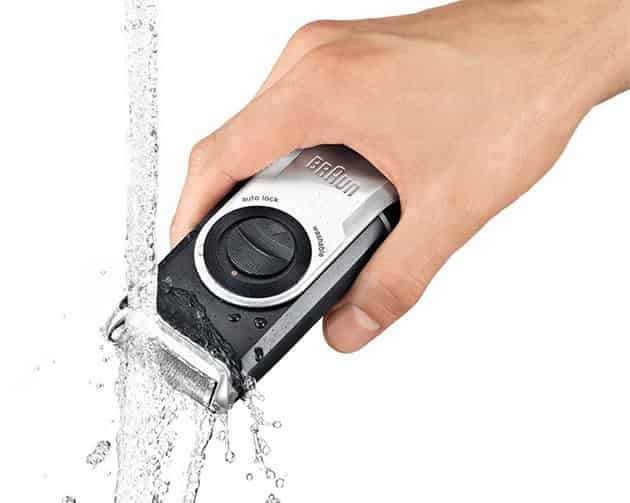 Being waterproof, you can clean the Braun M90 mobile shaver under running water. It has a little cleaning brush. If you don’t have running water available, you can use the included cleaning brush to wipe off any hair clippings. The M90 foil electric mobile shaver is very comfortable to use and it is very useful to get the best result of shaving. The Braun M90 foil electric shaver provides comfortable, smooth shave and a rotatable twist cap protect the foil when not in use. 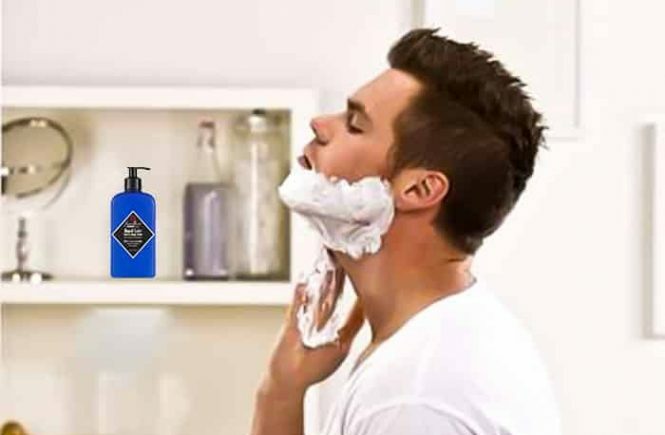 The design and features make the M90 a perfect portable shaver which is very affordable but will provide you the best shaving result on the go. You can get a comfortable and smooth shave by this razor. The Braun M90 electric shaver comes with some interesting and smart features, one of them is precision trimmer which is attached to the shaver. 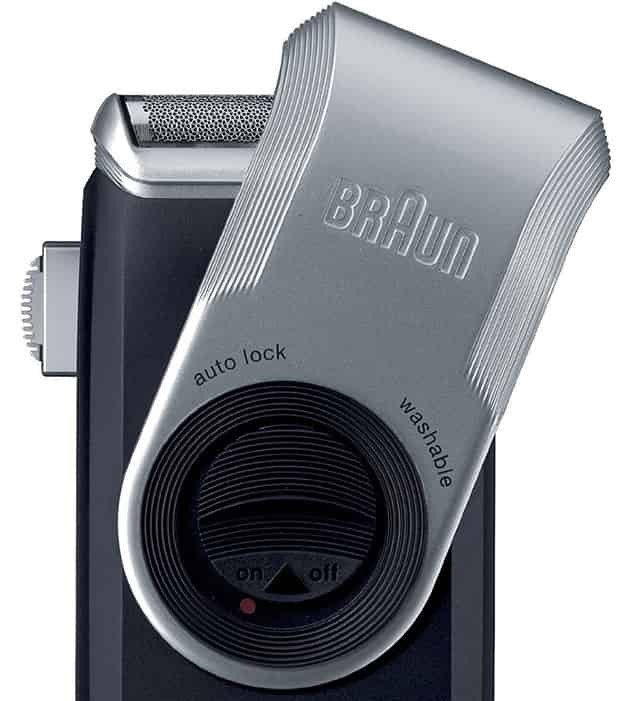 The trimmer is located on the left side of the Braun M90 mobile shaver. The trimmer is great for sideburns and mustaches. The shaver comes with a twist cap that protects the foil when not in use which is located on the top of this shaver. You can lock the cover head when you travel. The Braun M90 foil electric razor comes with an extra wide and thin ultra flexible foil which makes the shaver kind of sensitive skin and leaves smooth hairless skin without any irritation. The extra wide and thin ultra flexible foil adjust to the contours of your face for a close and comfortable shave. 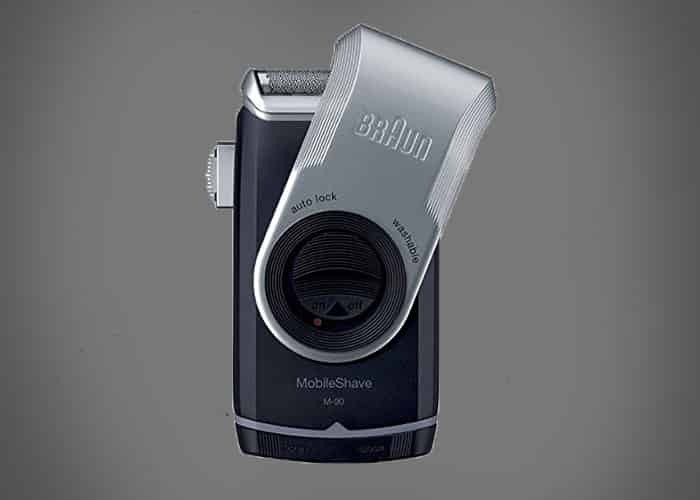 The Braun M90 Mobile Shaver is the smallest shaver created by Braun. Although the smallest electric shaver does not compromise on superior technology which is reliable quality or sleek design. It is a must-have shaving tool in the pocket for any men who wants or needs to look great all day long. It is lightweight which is also perfect for traveling. The electric shaver is powered by easily replaceable batteries. If you want to use any shaver inside or outside at home then The Braun M90 foil mobile electric shaver is the best choice for you. Braun M90 Mobile Shaver is an affordable option for me. Its portable design makes it a great choice for those who love traveling. The build quality is outstanding for a razor in this price range. The machine is good for light shaving and trimming. This razor is good for me with sensitive skin and works great with wet shaving. Using this shaver I am totally satisfied. Thanks to Braun for producing a great travel shaver.